My family and friends said I look brighter and prettier (I repeat, THEY SAID). Even Je Young oppa said my skin condition is way better compared to when I was in Malaysia. I don't know whether it's the weather or because of my skincare routine. Bare face. Hashtag no filter. When I was in Malaysia, I don't really consistently use any skincare (apparently I always late to classes in UTM). My skin was dry, literally. I started to use all those skincare products after oppa bought me The Face Shop, Mango Seed Serum and nag (or promote) about how important a serum is. I think he got annoyed of me envying how good his skin is but never tried to improve mine lol. This is not Korean product actually. But when I did some researches on which products are the best at the moment, I stumbled upon this product somewhere and thought I should give it a try. And I LOVE it except the price T_T. Well, it's not made in Korea so that makes sense. 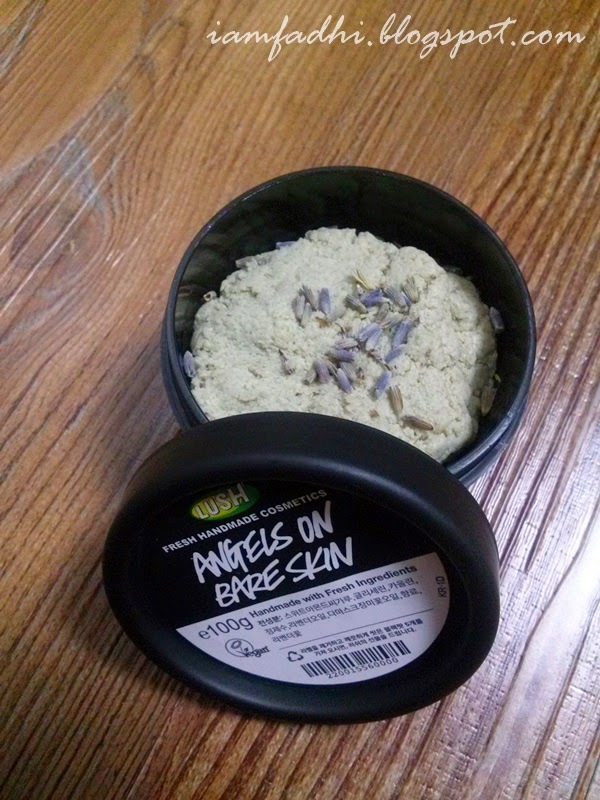 Plus, since it's quite expensive, I sorta use it just enough for my face (and thank God for my small-normal size face). 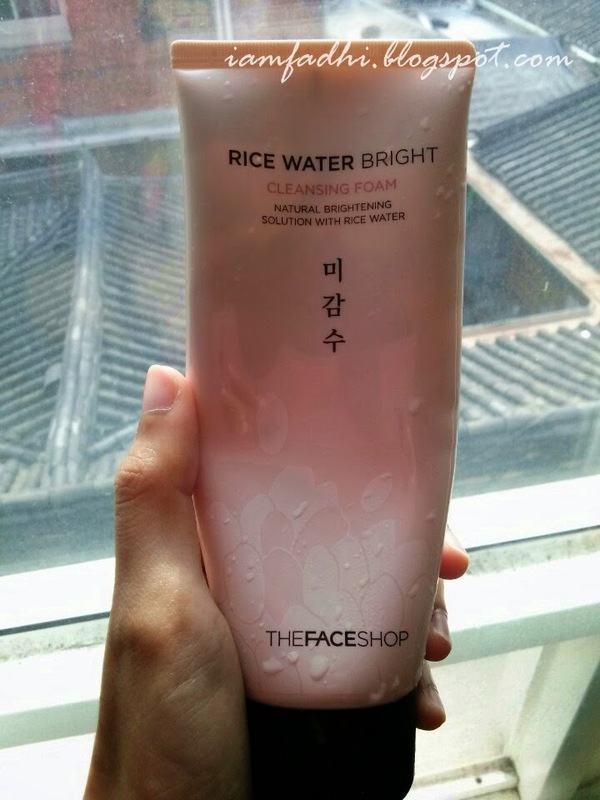 And I bought another cleanser foam which I use alternately with this one or sometimes both for double cleansing yeahh (foam cleanser first then LUSH cleanser). I really like Missha's products after I tried the essence and serum (which apparently are best-sellers and many people compared them to SKII (Tak mampu diknon nak beli SKII haha). After you've applied the essence, make sure to apply serum (bak kata laki aku serum ni kunci kulit bercahaya. Kalau nak bergelita sparkling glowing, wuduk jangan lupa). Time Revolution Night Repair serum by Missha. I totally love the combination of the essence and this serum! After you've applied the serum, you might feel like your face has had enough. No, you're wrong. Now, apply cream. You can choose any cream to your liking. As for me, I choose the Mango Seed whitening cream by The Face Shop. Love the smell. Now, you'll apply the last one before putting on any make up- the sunblock. I'm using Etude House's Super Aqua Sun Prise sunblock with 45SPF. As for this one, I just bought any sunblock that has the light texture that I like with a nice smell. I hate it when many sunblocks smell like medicine. -.- Oh and yeah, only use this in the morning (dah malam nak block matahari celah mana plak kan so kau takyah over plak pakai before tidur memang mintak tangan). Missha's Lip Scrub. Nivea's lip balm. 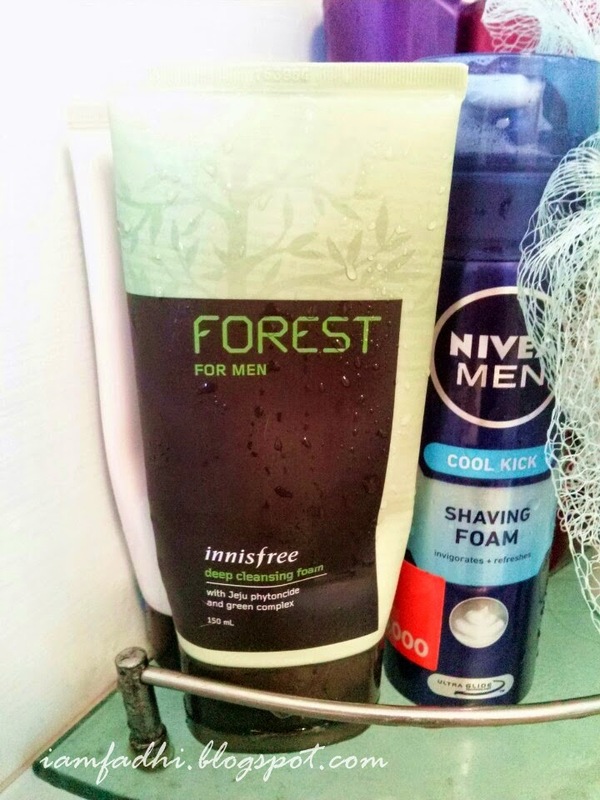 As for men, these are what oppa's using at the moment. He really likes this facial wash. This is his second bottle. All-in-one skincare & Mango Seed essence. Kek lapis in grey pashmina. Mne nak belI products nih erk? Sorry, Fad tak tau kalau Missha ada ke tak dekat Msia. Warh!! kulit kak fad nmpk flawless sgt..nnti kalau dpt prgi korea..nak ajak kak fad pergi borong produk skincare tu la..best xguna produk tu kak fad?? Warh!! Kulit kak fad nmpk flawless sgt..best xguna produk skincare tu?? Nnti kalau dpt prgi korea..sy nak ajak kak fad prgi borong produk skincare tu lah..
Wowww masha allah. .... but what are you wear in the last picture to make this dewy look?? I love my skin and i always want my skin glow like a pearl. So for this i usually buy skin care products online form awesome bazar. Hi, Fadhi. I read this post and I was amazed to know that you do not use skincare consistently and even though your skin looks really great. I must say brilliant post and thanks for sharing Skincare products. Koren Skin Care products are very effectively work on acne and remove the problem from root. Nice post thanks for sharing this info. Thanks for great tips!! Your article is really awesome. Using Sakare's skincare serum helps to keep my skin fresher, younger and brighter. What products that i should use since my skin have ace problem? help plisss! Stunning Blog about Skin Care Products. These products help to glow your Skin and prevent skin problems. 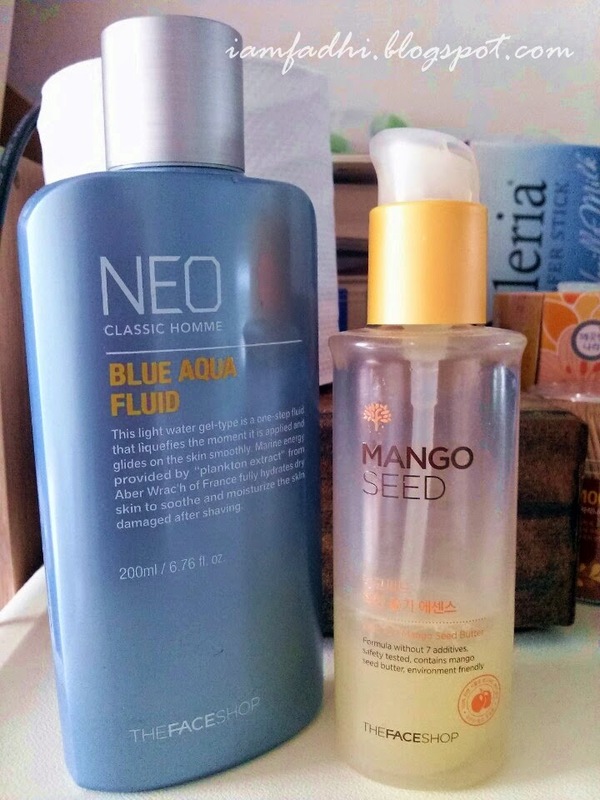 Women know importance of serum by use all these skincare products like The Face Shop, Mango Seed Serum. Thank you So much for posting all of your favorites!! My dry skin usually flares up when the weather changes too! Hi, Fadhi. I read this post and I was amazed to know that you do not use skincare consistently and even though your skin looks really great.